Commodity trading house Vitol and coal miner Peabody Energy are partnering with new firm Arq to turn coast waste into low sulfur fuel oil. Arq's technology isolates hydrocarbon particles from feedstock coal waste to produce a fine powder that can be blended into fuel oil and marine gasoil as well as crude. 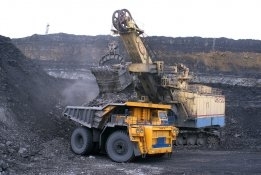 "The coal industry throws away anything below 2-3 millimeters and that fine particle coal becomes waste," Arq chief execuive Julian McIntyre was quoted as saying by Reuters. "We take that feedstock and turn it into products that are worth much more than the coal. "The coal industry throws out 1 billion tonnes of them a year, the equivalent of 5 million barrels of oil per day," the executive added. Including transport, McIntyre said the firm is aiming to produce and deliver its fuel to port for less than $10 a barrel of oil equivalent, which could be blended into fuel oil to account for up to 20-25% of a barrel. London-based Arq is in the process of building its first plant in Kentucky, United States, which is expected to start up by early 2019. "Our basic plant design is to produce 1 million tonnes per annum," McIntyre said. "Our plan is to build 50 full-scale plants over the next seven years, (with production) equivalent of about 1 million barrels per day of oil." He added that a single plant costs about $200-300 million to build and takes about 12-18 months to complete. Other uses for Arq's fuel would be to blend it into crude oil that would give refiners a greater yield of middle distillates. With less than 9 months to go, big questions around the IMO 2020 issues are swirling around without crystal clear answers. Demand for laboratory testing will inevitably increase, but buyers need to consider more than just the availability of a laboratory.